With anything in life, change is constant. While something might be at complete rest, something else is always in perpetual motion. I guess it depends whether you’re the rock or the ocean what your perspective is. 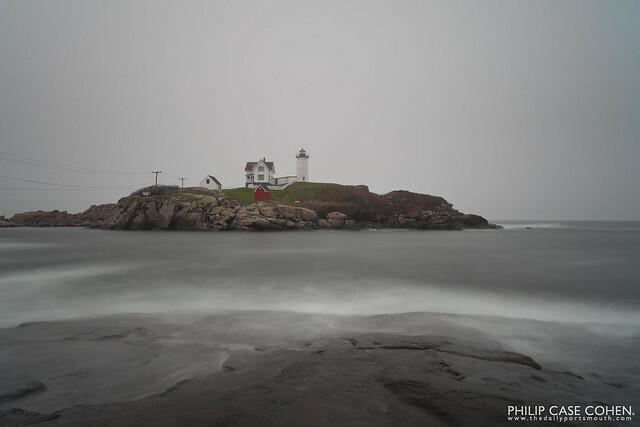 This shot was taken at Nubble Lighthouse in York, Maine on the Atlantic coast. I don’t think I’ve ever visited and not been in awe as I watch the ocean do its thing, especially where the waves meet the rocks. My favorite lens, responsible for probably 90% of all photos since last December when I bought it, is the Carl Zeiss 21mm. My major problem with it for shooting landscapes was that I couldn’t experiment with one of my favorite types of photography – long exposures – because the filter thread was so wide at 82mm. To perform a long exposure (2+ minutes), you need to have a 10-stop neutral density filter, which looks like a piece of black glass, to reduce the light that reaches the sensor. I finally realized I could use a Lee Filter Kit to screw onto the 82mm thread, and use their square filters on not only this lens – but on all the lenses in my arsenal…but the problem was, due to the earthquake in Japan, everything seemed to be in ridiculously short supply (until this week!). What better subject than the Memorial Bridge to break in the new toys! Despite the moody, cloudy and colorless sky, I was excited to see this shot – remarkable clarity and crispness throughout the frame – just what the doctor ordered. The Marginal Way in Ogunquit must be one of the most beautiful pulaces on the eastern seaboard. The rocky coastline is marked by a beautiful walking path, with direct water access and a magnificent view of the Atlantic Ocean and plenty of massive coastal homes. I’d shot here before, although in a limited area…and I found myself shooting in a new spot this time around. Immediately I recognized a landmark, as I’d seen beautifully captured before by my good friend Chris Lazzery – who has made some great images during his visits here. 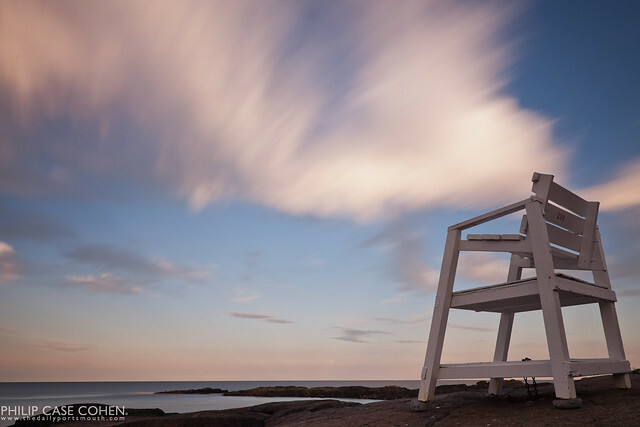 The landmark was this massive lifeguard chair perched on the rock. It’s very striking when captured well…I’ve got a couple more exposures of it that I like and plan to share soon. I will definitely be back for another attempt! 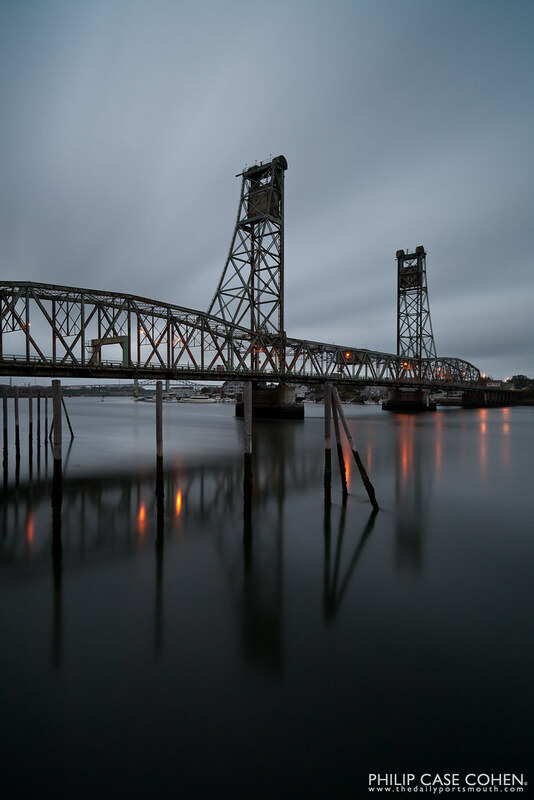 The Portsmouth Waterfront is a beautiful place. I’m sure if you mention the word “Portsmouth” to 10 different people – each person will have a twist on what their favorite thing about town is – or their favorite part to visit. For me – one of the coolest things to do if I have a bit of extra time – is to head over to Maine and appreciate the view of town from afar. It’s almost like seeing town from a little snow globe – without the snow (for now). I love the tall monuments and the rich colors and textures of the waterfront real estate. There is something soothing about going for a drive along the coastline. 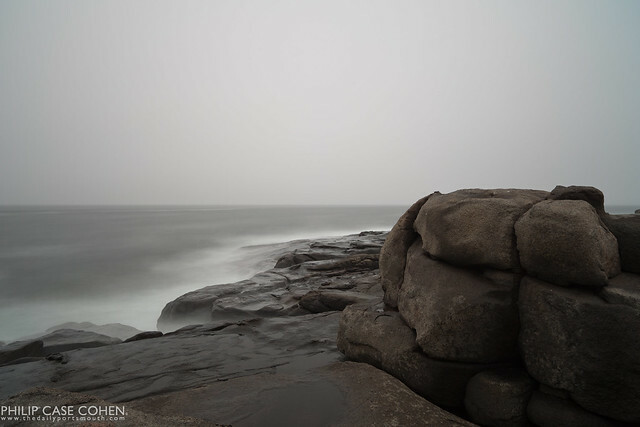 I went for a drive this past weekend and was greeted with misty weather, a bit raw and cooler along the stormy waves – so it was the perfect opportunity to break out the neutral density filter and calm the water down in-camera. 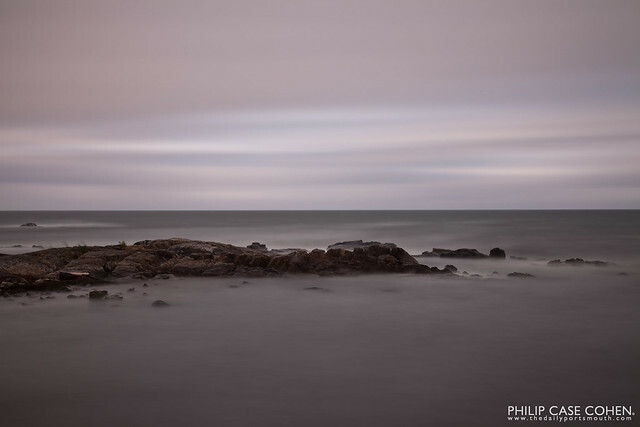 The colors were very muted, although a hint of blue sky can be found despite the cloud activity on the horizon. It had been a long time since I had a few minutes to dedicate to shooting a beautiful sunset. It wasn’t for a shortage of beautiful sunsets, but more a result of a full schedule. 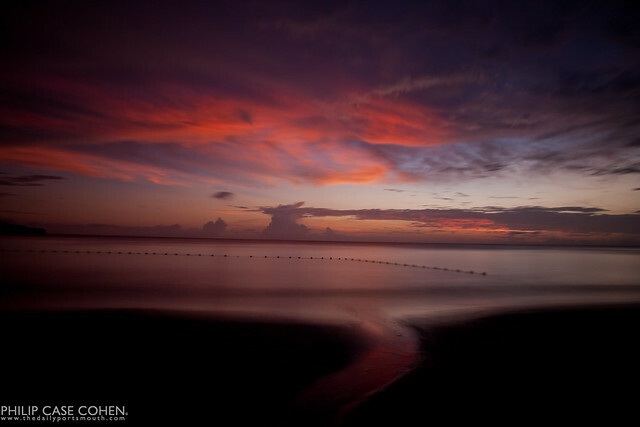 This richly colored image is the result from 75 seconds of glorious sunset as the sun retreated behind the horizon. The hint of reflection in the foreground was a gift from the drainage of the hotel we were staying at, which followed a channel out to the shoreline. The oranges and pinks were just gorgeous. It was refreshing to enjoy this gift from nature. Much more exciting content to follow from the island of Saint Lucia.